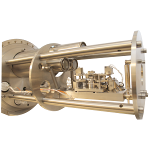 The AFM component of the BRR is equipped with a classical laser deflection detection, which has been adopted to allow a very short working distance for the SEM column of 5 mm. 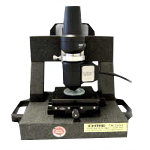 While keeping this working distance, the AFM can be tilted from 0° to about 85°, to make both a top view and a side view possible. An extremely short mechanical loop from tip to sample guarantees highest stability. 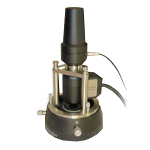 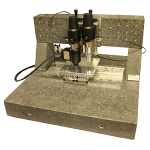 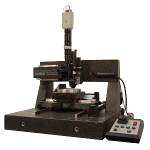 The scanner provides real single atomic resolution in all three dimensions. 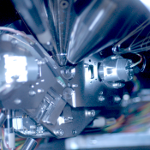 Last but not least the integrated software frontend guarantees a safe and smooth work flow as well as supports easy collection and combination of the different types of measurement data.